Continuing our year-spanning mini-series on facilitating meetings; previous episodes are still avaialable for viewing, the first about beginnings, the second about the middle. Here’s some quick ideas and methods, with one for the brave! What methods have you tried and what happened? As my last blog said, the end game in meetings has two elements: action planning; and evaluation. I’ll give an example of each and show how, once you’ve identified a good method as a base, you can play with it and adapt it. I’ve suggested in the last two blogs that lots of standard methods can be quarried for their building blocks. For action planning, I often look to Planning for Real. I really like the way this method categorises possible actions by timescale and by the help needed. 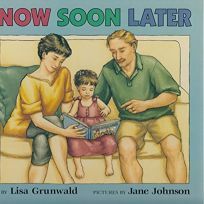 The actions are listed according to whether they are to do ‘Now’, ‘Soon’ or ‘Later’. The possible forms of help are tailored, but they could be ‘We can do this by ourselves’, ‘We can do this with some advice’, ‘We need capital for this’, and so on. These two simple planning tools together provide a clear picture of what to do when and how. Most action planning involves listing the steps to take to achieve something. One way to play with this is to get groups to stand on one side of room, with the other side representing the achievement of the goal. They have to identify the steps to take and what they involve, and when they are confident they have fully understood each one, to take a physical step from one side of the room towards the other. It is remarkable how the body resists that step if the action has not been properly thought through. I always find that the word ‘evaluation’ sounds heavy and worthy. But here too there is opportunity to play around. My most frequent way to do a quick evaluation is to get everyone to write a comment on a post-it, to fold it over, and to stick it on a target drawn on a flipchart. How close they stick it to the bullseye shows their overall view of the event. Once or twice, I’ve got everyone into a circle, asked them to take a shoe off, and to place it in the centre of the circle according to how they rated their time together. But I’ve only done that when feeling brave.